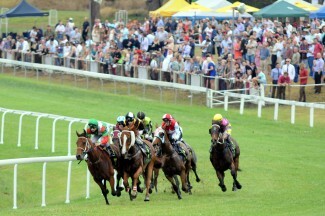 A massive crowd was on hand for the running for the 2012 Kempsey Akubra Cup which was a triumph for the race club. 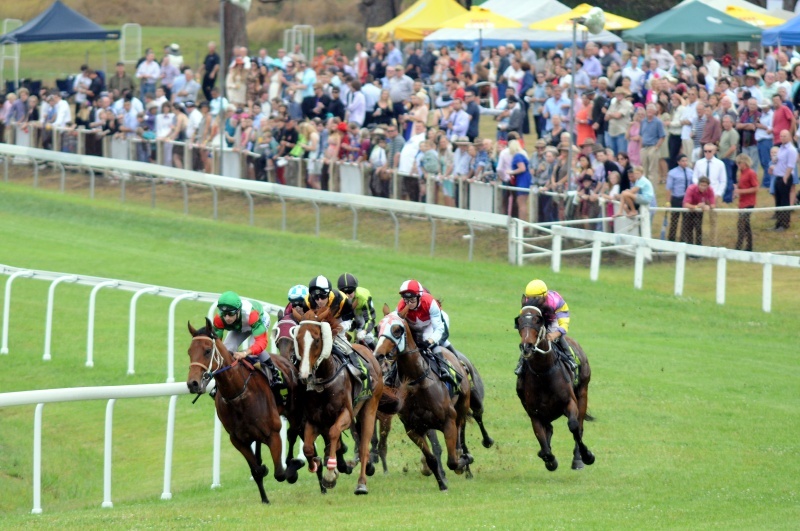 KEMPSEY Race Club is in the running for a NSW Country and Provincial Racing Award. The local club has been named a finalist in the Outstanding Achievement Award category for last year’s Kempsey Cup. It has been a turbulent couple of years for the club, but it has survived and is surging ahead into a positive future with the current board clocking up over 12 months at the helm. The 2012 Kempsey Cup was the new board’s first major race event and they ticked all the boxes, financially, in attendance and in the conditions of the track. Chairman Jarrod Lipscombe was pleased with the award nomination. “It was our first Kempsey Cup so to be an award finalist is great recognition in that way,” he said. “It was a great cup last year. It was well supported by the racing and business community." Mr Lipscombe said the board trialled some new things at the event that added to the excitement of the day, such as the XXXX Gold retreat and corporate marquees. “We only get five race meets a year so that gives us only five opportunities to make an income to cover the overall costs of the race track and facilities for the whole year,” he said. “The Kempsey Cup is the biggest opportunity to make a profit. “This year we are hoping to build on the success of last year. “Our Race Meetings this year have had excellent nominations and quality fields and we hope that trend continues for the cup.” The club plans to offer more corporate marquees overlooking the 200m mark along the straight at this year’s event, which is to be held on Friday, November 8. For more information about corporate packages at this year’s Kempsey Cup phone Allan Burgess on 0418 249 147. The 2013 Country and Provincial Racing Awards function is to be held at the Four Seasons Hotel, Sydney on October 4. Kempsey Race Club is up against the Bathurst Thoroughbred Racing (Soldier’s Saddle), Coonabarabran Jockey Club (Bushfire Appeal) and Warren and District Jockey Club (Christmas Twilight Meeting).